In this class, Jean will be teaching you another Quilt and Piece as You Go Technique that allows you to piece and quilt blocks at the same time. This is a great way to make small and large quilts, especially if you have a smaller machine or find large quilts too cumbersome. The small quilt that you will be making in this class consists of a main fabric for the front with different colored strips. 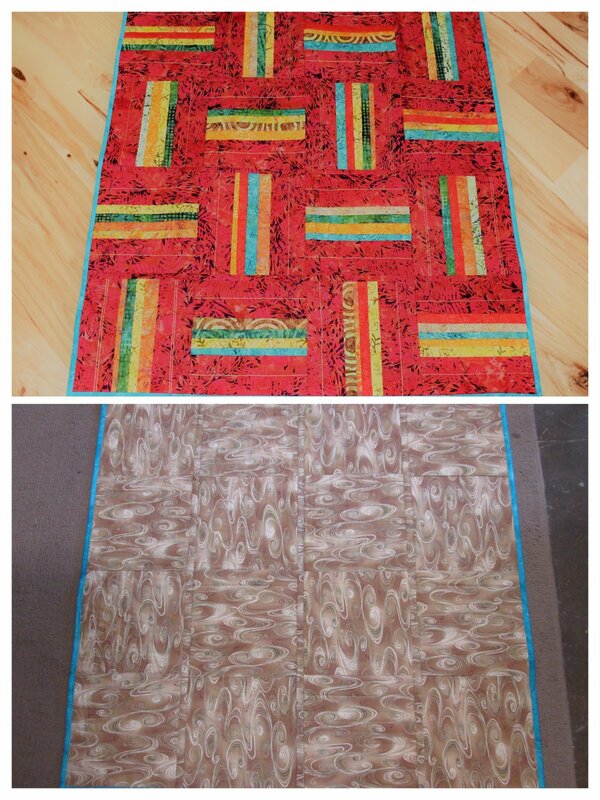 The blocks and strips for the back are done all in one fabric. When you are done, you’ll have a double-sided quilt. Must have a sewing machine and appropriate supplies for class.